Robert Spetzler, M.D., is a world-renowned neurosurgeon. His groundbreaking techniques have saved the lives of thousands of patients. Since 1985, he has been the director of the Barrow Neurological Institute at St. Joseph’s Hospital and Medical Center in Phoenix. Under his leadership, the institute has grown from a regional facility to an internationally recognized center of neurological excellence. Dr. Spetzler publishes extensively in medical journals and is recognized for his innovations in neurosurgery. 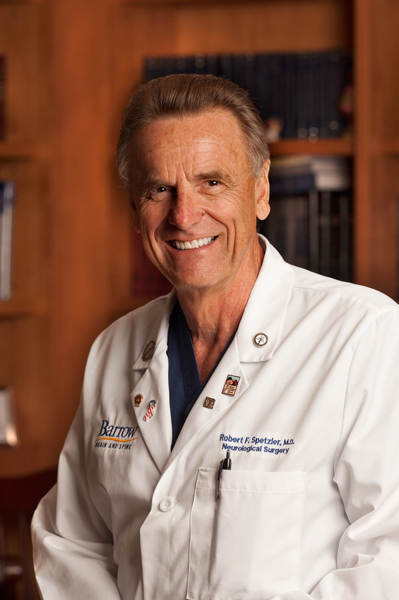 He also serves as chair of neurosurgery at the University of Arizona College of Medicine Phoenix Campus. He was born in a small German village in 1944 and moved to the United States when he was 11. In 1965, he became an American citizen. Dr. Spetzler developed the cardiac standstill technique, which is used in neurosurgery to facilitate the treatment of difficult aneurysms. The patient is cooled until the heart stops beating, which provides the surgeon with a bloodless field and eliminates the risk of the aneurysm’s rupturing during surgery. Dr. Spetzler is heavily involved in the development of effective educational materials for today’s students. He is a driving force in the preparation of tomorrow’s groundbreaking surgeons. The neurosurgeon graduated from Knox College in 1967. He received his medical degree from Northwestern University in 1971, and in 1977 he completed his residency in neurosurgery at the University of California at San Francisco in 1977. He has published more than 400 articles in peer-reviewed journals, 291 articles in other journals, and 184 book chapters. Dr. Spetzler and his wife Nancy have been married 43 years and have 2 children and 5 grandchildren.